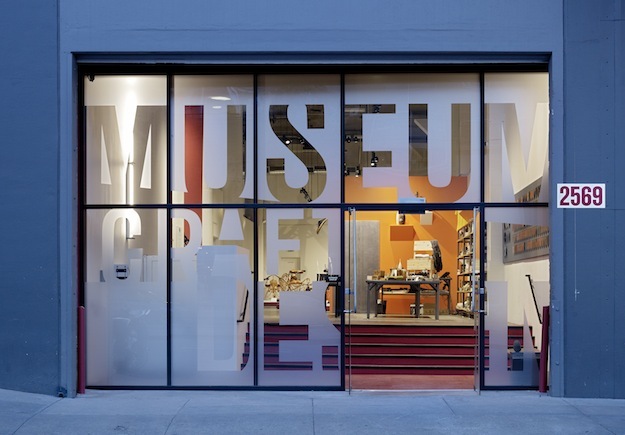 If you are in San Francisco between now and January 5, 2014, don't miss New West Coast Design 2 at The Museum of Craft and Design. The exhibition, curated by Kathleen Hanna and Ted Cohen, features 60 works (including our Dish tables and Stitch mirrors) "chosen for the significant contribution they make to the world of design by expanding on the idea of function, exploiting materials, innovative techniques, or pioneering applications of new technology." Selected designers, including independents like Carlo Aiello and ReCheng Tsang as well as firms like Frog and Emerging Objects, all practice in California, Oregon or Washington. 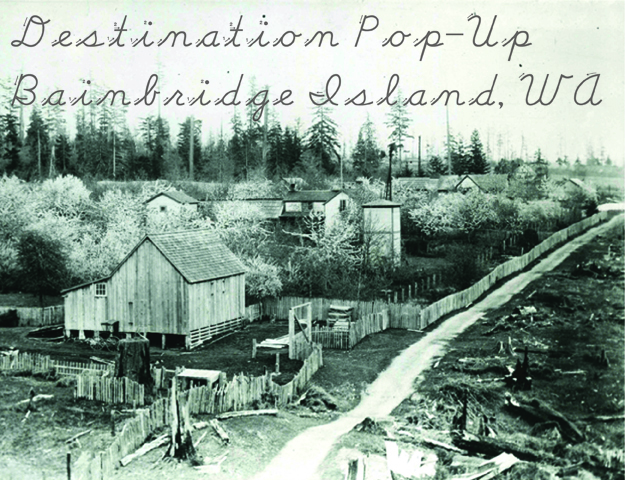 We're going local this November and taking over a storefront on Bainbridge Island! Starting November 1, you will be able to find one of us manning our own miniature retail experiment while getting to know some of our neighbors. The space, called Charrette, was offered to us by our new friends at Indigo Architecture and Interiors and Clark Construction, who will be activating it each month with a new artist, designer or conversation. For us, it means an opportunity to try our hands at brick-and-mortar retailing as well as a chance to present our our work for the first time in our own hometown. We'll be filling the space with our current line as well as a few one-offs and never-before-seen samples. We'll be open November 1 - 24, 2013 at 130 Winslow Way East (across the street from Hitchcock) on Bainbridge Island, Thursday - Sunday, 12:00 - 6:00 pm, or by appointment. 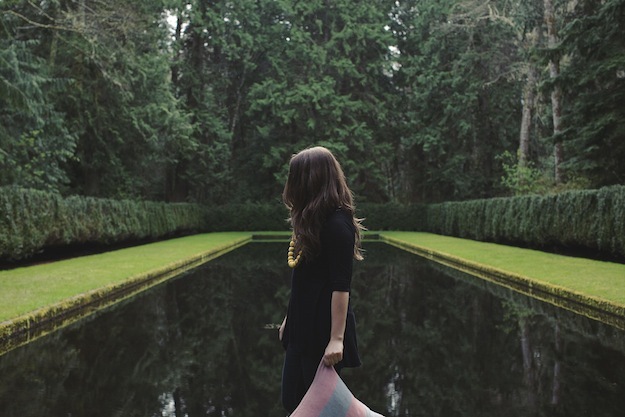 The opening night party will be held on November 1, 6:00 - 8:00 pm, as part of Bainbridge Island's First Friday Art Walk. We hope to see you there! We are officially looking for one full-time or three part-time individuals to join our growing Bainbridge Island studio. Ideally, two or three of these positions can be covered by one person, but we are open to breaking the job into the following three roles in order to best suit specific skills and availability. The primary role of our studio manager is to handle customer service, manage shipping and receiving, assist with production and packaging, and maintain our studio space. Assist partners in bringing new design concepts into production through technical drawing, prototyping, and product testing. Manage in-house and outside vendor sampling and manufacturing. Maintain shop space and tools. A position for an outgoing art and design enthusiast. Sales and marketing experience would be ideal, but is not required. The most important skills for this job are a strong writing voice, the ability to creatively communicate, and organization. We are a small but ambitious husband and wife design studio based in a 100 year old farmhouse on Bainbridge Island, a 35 min ferry commute from downtown Seattle. Please familiarize yourself with our company through our website before contacting us. Our hourly rate is based on experience. We do cover ferry costs as well as provide lunch and coffee. Send applications to jobs@graindesign.com. Along with the above paid positions, we also have student internships available. Please see our jobs section for more information on our internship program. Update 11/4/2013: These positions have now been filled. Thank you for all your interest. A few pics above and below from our most recent trip to Guatemala to work on the spring textile collection. This time we stayed mostly in Antigua and got to know more about weaving and natural dye through a few local studios that we are excited to begin working with. We've returned inspired and grateful as always to get to do the work that we do with so many amazingly talented artisan groups. See our current textiles in the shop here.